Garcinia Cambogia Extra is a commercial weight loss supplement that is a huge success all over the world. The capsules contain two of the most popular weight loss enhancers available today—garcinia cambogia and raspberry ketone. 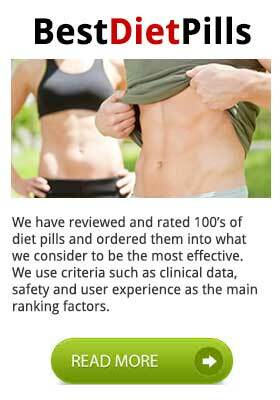 The manufacturer’s website appears to be the sole source of supply for the product, but they offer a good level of customer support and are known to encourage customers to email them with any question they may have about Garcinia Cambogia Extra. They also show enough faith in the product to offer a 60 day money back guarantee; so first impressions are good for prospective customers. Garcinia Cambogia Extra is a weight loss supplement that combines the fat burning benefits of raspberry ketone with the appetite suppressing and fat inhibiting qualities of garcinia cambogia. The recommended dose is one capsule, taken twice a day, on an empty stomach. 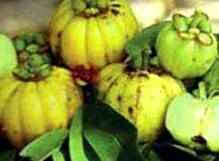 Garcinia cambogia (HCA 60%): An extract obtained from the rind of the Asian fruit garcinia cambogia.It is a natural source of hydroxycitric acid (HCA), which has a strong reputation for preventing the liver from converting excess carbohydrate into fat. HCA also increases serotonin levels and this increase can result in feelings of euphoria as well as a suppressed appetite. Garcinia cambogia has been the subject of numerous tests. Physiology and Behavior published the results of one such test, that explored garcinia cambogia’s performance as an appetite suppressor as well as its ability to assist weight loss. After 12 weeks, the test subjects who had been using Garcinia Cambogia had lost significantly more weight than the members of the placebo group. Raspberry ketone: A naturally occurring substance found in several fruits, including raspberries, blackberries, and cranberries. 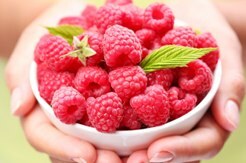 Raspberry ketone has many uses and can be found in some cosmetic and perfume products. It also has an enviable reputation for enhancing the body’s ability to burn fat. Initial interest in its fat burning qualities began in 1995, when Life Sciences published the result of a study conducted in Japan. Mice were fed a high fat diet, but were also supplemented with raspberry ketone, which seemed to prevent the mice from becoming obese. There has been no specific media focus on Garcinia Cambogia Extra—as a product. The two active ingredients are a different matter. 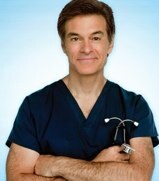 American TV personality, Dr. Oz, spotlighted both ingredients in separate shows and his recommendation has given them a tremendous push. Dr Oz is extremely vocal in his support for the superfruits and does not miss an opportunity to put forward their benefits to his audience. Garcinia cambogia has also been given the stamp of approval by several big-name celebrities, including Britney Spears and Kim Kardashian. The official website showcases several success stories that report weight loss of between 11 kg and 18 kg. Independent testimonials are in limited supply, but the product is still relatively new to the market. The two key ingredients have, however, already proved themselves in the marketplace; especially garcinia cambogia. It is linked to many success stories and the singer Jennifer Lopez told Women’s Health Weekly she lost a staggering 23 lbs. in just one month, she then attributed much of her success to the use of garcinia cambogia. There have been no side effects reported in connection with the use of this product, but the ingredient garcinia cambogia is known to effect insulin levels, so it is strongly advised that diabetics refrain from using any product containing garcinia cambogia unless their doctor has approved its use. The same advice is offered to pregnant or lactating mothers. This product contains a powerful combination of ingredients that have been tested and proved to offer weight loss benefits. 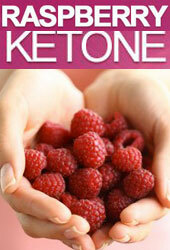 Many other weight loss supplements contain raspberry ketone and the same can be said of garcinia cambogia. Some may even contain a quantity of both, but no other supplement on the market today offers such a potent mix (1,000 mg garcina cambogia, 200 mg raspberry ketone). For best results garcinia cambogia requires a HCA level of at least 50%. Many competing products fail to provide this, but Garcina Cambogia Extra has a very respectable HCA level of 60%. Although this particular product has not been available for a sufficient length of time for it to acquire a substantial amount of independent reviews, it seems highly likely that it will deliver the promised results. The quality and reputation of the ingredients alone—and with such a respectable inclusion rate—should be enough to ensure this, but he manufacturer’s generous 60 day money back guarantee further ensures the consumer has nothing to lose by trying the capsules. This is a highly recommended product. Available to buy exclusively from the official website. The manufactures have resisted the temptation to supply health stores and pharmacies (GNC for example). Although the premier retailers have a solid reputation, trying to get some kind of pre-sales advice can be a chore. 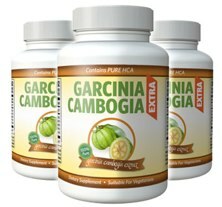 Garcinia Cambogia Extra is available to buy as single months supply or up to 6 months by way of a special price promo. Buying 3 months will give another 6 free, this equates to just $28 per bottle. There is also a 60 days money back guarantee. Does this work like a thermogenic? 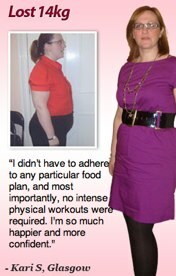 Garcinia Cambogia is the only diet pill that has worked for me. I do not know if its psychological or a real physical effect but either way I have managed to shed fat from my middle, upper arms and thighs. this is something that I never thought I would be able to do. I would say to anyone to definitely try Garcinia for 3 months but also to seriously watch what you eat as well. I have lost the bad habits I once had over the last 3 months. I am used to NOT picking between meals and my portions sizes are smaller. I am soooo happy about this I am about 3 months from target and ideal weight. I have been taking Garcinia Extra for about a month now and I DEFINITELY feel it working. I have lost around 5lbs – 8lbs. My weigh always fluctuates at depending what time of day I weigh my self. This works!! I lost 15 pounds in 2 months!! highly recommended! I have been taking garcinia cambogia for approx 6 weeks and it really suppresses my appetite. I have hypothyroidism and also am a senior, so weight loss is slow at best. In those 6 weeks however, I have lost 6 lbs – fast weight loss for me.